Health chiefs in the Highlands have admitted that all of the region’s hospitals face a maintenance backlog – and most older buildings are “high risk”. The north’s NHS board said hospitals over 10 years old had issues involving ventilation and electricity systems that “should have been replaced or refurbished” but funding was not in place. The problems were disclosed following freedom of information requests submitted by the Scottish Conservatives to all health boards, which the party said showed the “desperate state” of facilities across the country. A spokesman for NHS Highland said: “Health and safety is of paramount importance to the organisation. “All our hospitals have backlog maintenance. Most of the buildings over 10 years old will have some elements of high-risk backlog maintenance which includes ventilation and electrical systems that should have been replaced or refurbished but we have not been able to fund these works. 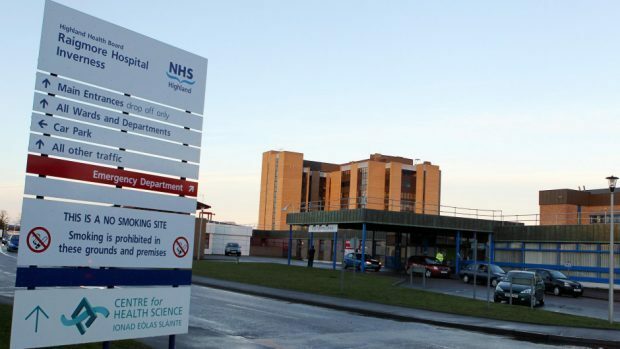 The health board already has plans for multimillion pound upgrades at Raigmore Hospital in Inverness, Caithness General in Wick, and Broadford Hospital on Skye, while £20million has been earmarked to replace Fort William’s Belford Hospital. The research by the Tories also found that NHS Shetland has “significant” or “high risk” maintenance issues with dental surgeries, nurses and staff accommodation, acute hospitals, office blocks and health centres. NHS Western Isles had one “high risk” property, a doctor’s house in Barra, and “various properties” with significant risk, while NHS Orkney only had one in those categories, but the building has since been replaced. Shadow Health Secretary Miles Briggs said: “We tend to focus on what goes on in hospitals and less so on the quality of buildings provided. Health Secretary Shona Robison said: “We’re committed to improving the quality of the NHS estate and this is why, with our health boards, we have a clear plan in place to deliver the investment our health facilities need.